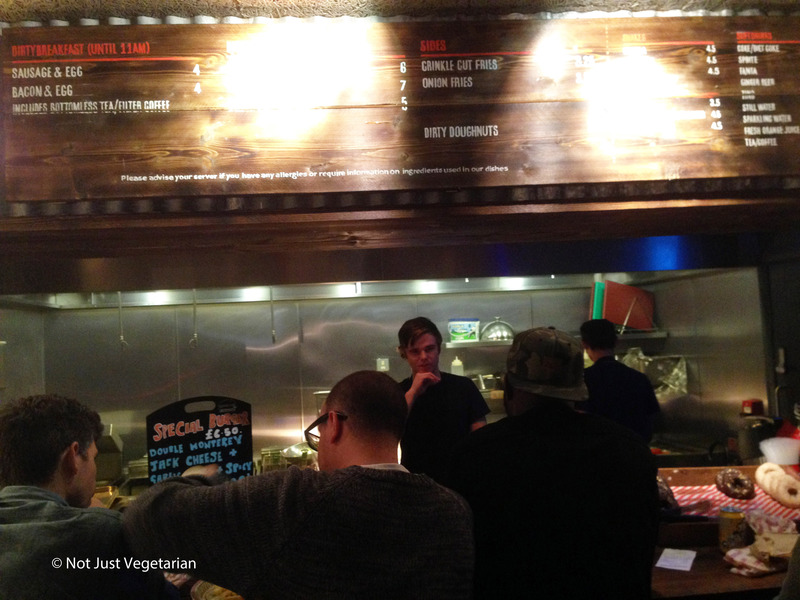 Dirty Burger in Bethnal Green / Shoreditch High Street opened just over a couple of weeks ago. 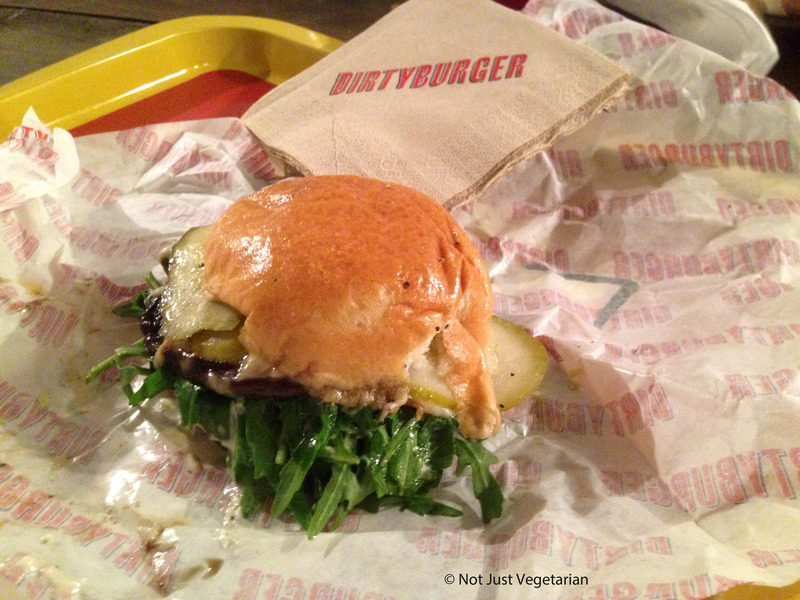 We wanted a quick bite to eat and happened to be walking on Shoreditch High Street when we spotted Dirty Burger. 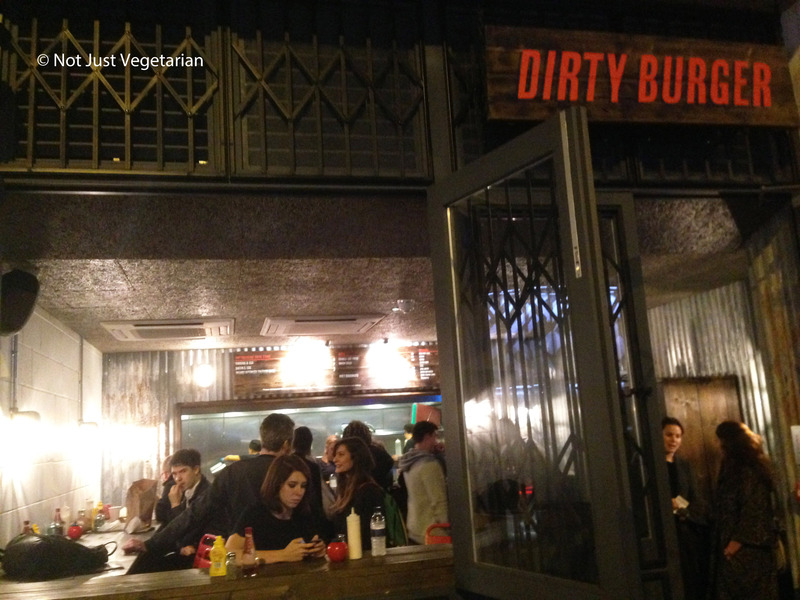 This Dirty Burger in Shoreditch is the fourth location in London. 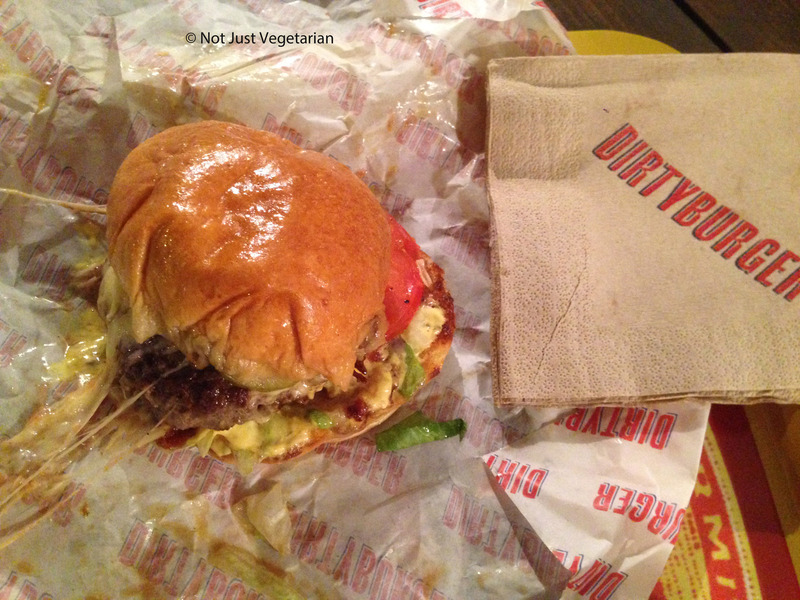 Dirty Burger offers a limited menu – a Cheese burger, a Dirty bacon and a Dirty Cop-out i.e., vegetarian. There are a few sides although we did not get any. Water / juice is self-service from the refrigerator (hard to find!). 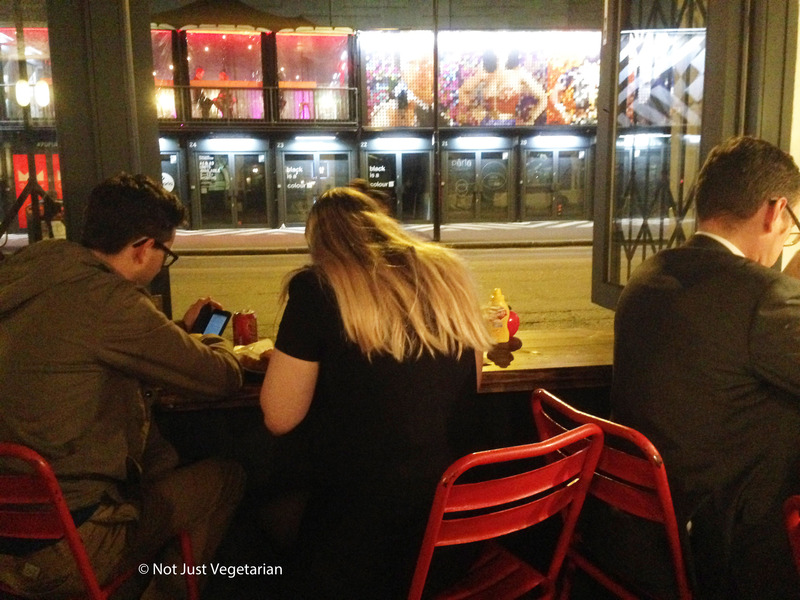 This location of Dirty Burger can seat about 12 people, yet most of the crowd seems to arrive for take-out. The Dirty Bacon was apparently very light and delicious. I was particularly thrilled with the Dirty Cop-out . The portobello mushrooom (in the Dirty Cop-out) was well-made and the mayonnaise -mustard combination on the arugula was delicious! Nothing extra was needed. 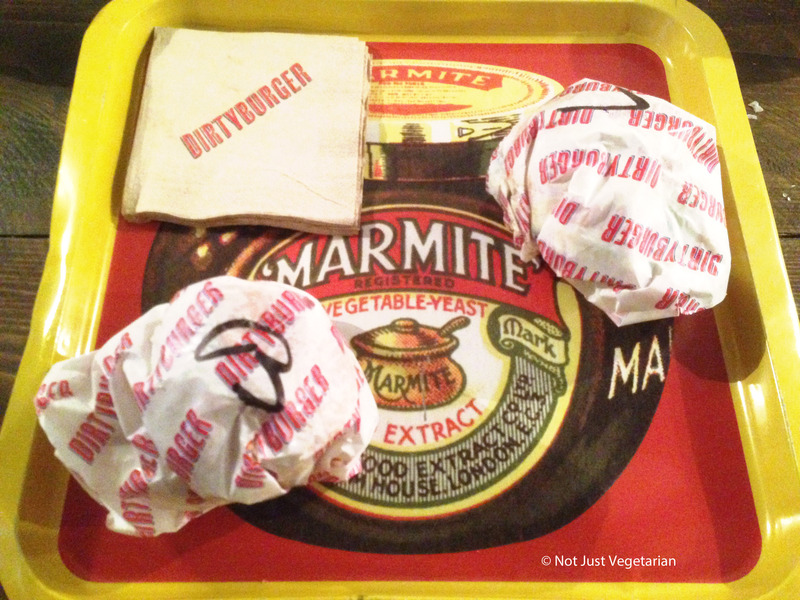 Dirty Burger is open late (until 1.30 AM) and is open for brunch. 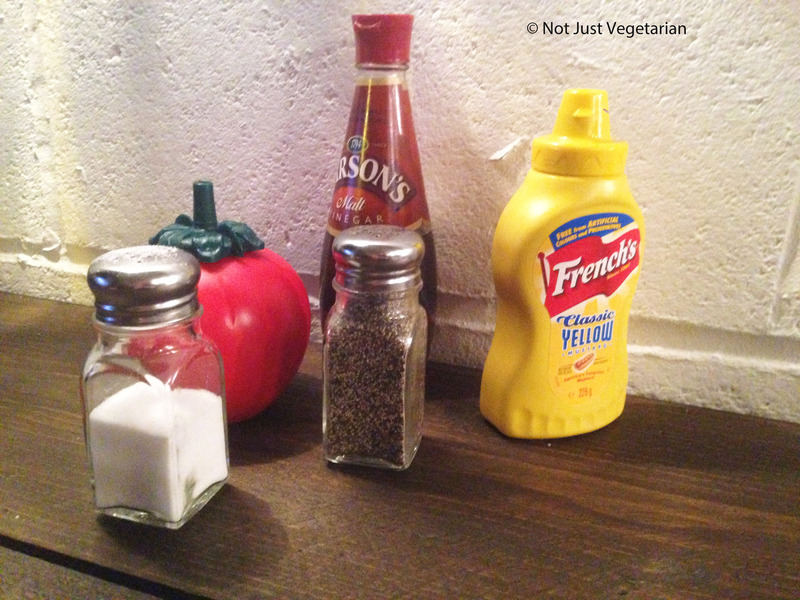 The only downside to Dirty Burger in Shoreditch is that there is no rest room.